Interview: Once Upon a Time officially confirms identity of Hook’s daughter — and her mom! Once Upon a Time not only revealed the identity of Hook’s daughter, but doubled down in the spoiler department by also unmasking her mother during the first of Friday’s two episodes. As many fans had already suspected even before their first game of chess, Alice (Rose Reynolds) is indeed Hook’s (Colin O’Donoghue) daughter. The show had previously teased she was locked away in a tower, and now we know why. On a quest to gain access to the non-magical world, Hook had come across Rapunzel’s (Meegan Warner) tower. But after a night of passion with Rapunzel, Hook then discovered that the woman is actually Tangled villain Mother Gothel (Emma Booth) — the witch locked in Belfrey towers back in Hyperion Heights whom Rogers thinks is Eloise Gardener! — who was just using Hook to birth a child that would then take her place in the tower, that child being Alice. Twist! She’s tressed for success! ABC’s fantasy Once Upon a Time brings back Rapunzel November 17 for a multi-episode arc that finds the feisty fairy-tale princess—now played by Meegan Warner (Turn: Washington’s Spies)—eager to get even with the evil sorceress who has kept her spellbound and imprisoned for years. Interview: Once Upon a Time: Is Alice Hook’s daughter? While Friday’s episode of Once Upon a Time featured an emotional swan song for Emilie de Ravin, and even a sly reveal of the new LGBT character, the end of the hour dropped a major clue that may have revealed the identity of Hook’s daughter. Friday’s episode concluded with Rogers (Colin O’Donoghue) sitting down for a game of chess with Tilly (Rose Reynolds), a.k.a Alice of Wonderland fame. Lest viewers forget, this version of Hook revealed to Emma (Jennifer Morrison) that he has a daughter, with whom he’d secretly play chess while she was being held captive by an evil witch as a child. Could Alice, therefore, be Hook’s daughter? At its core, the ABC drama series Once Upon A Time is a story of hope, but now in its seventh season, it’s also in a new town (Hyperion Heights) run by a new villain (Gabrielle Anwar as Victoria Belfrey), and there’s a new curse that’s taken the memories of the former residents of the Enchanted Forest. And to overcome it all, a young girl named Lucy (Alison Fernandez) has to convince a grown-up Henry Mills (Andrew J. West) that his true love, aka her mother, is actually Cinderella (Dania Ramirez). During this 1-on-1 phone interview with Collider, actor Colin O’Donoghue (who plays Captain Hook, aka Killian Jones, aka Officer Rogers) talked about reinventing Hook, working with all of the new cast members, how bittersweet it was to say goodbye to so many of his fellow co-stars this season, whether he ever considered leaving, what kind of cop Rogers is, what life is like in Hyperion Heights, how he feels about where Hook and Emma’s (Jennifer Morrison) story was left, and what it’s meant to him to be a part of this show, for so many seasons. He also talked about juggling the series with making movies and what drew him to What Still Remains. Collider: It’s great to talk to you, but kind of surreal to talk to you about the seventh season of a show that also sort of feels like the first season again. COLIN O’DONOGHUE: It’s been great trying to reinvent Hook and figure out who he is, in this realm. What’s it like to be in Season 7, but to look around and see different cast members on set than the ones you’ve shared scenes with for the last six seasons? O’DONOGHUE: It’s been great, to be honest. Obviously, we miss all of the old cast members. Nobody can play the characters the way that they played them. But it’s been nice to get to work with new people, as well. One thing that I’ve actually always enjoyed doing on this show is getting to work with so many different people. When you got the news about the cast departures and the big changes for this season, what was your reaction to that? O’DONOGHUE: I was happy for the people who wanted to try new things, and I was happy that they got the opportunity to do that. I knew that I would miss working with all of them. It’s a catch-22, to be honest with you. The show needed to go the way that it’s gone for it to continue. It needed a change. It needed to mix things up. Plus, you can’t go back and repeat the first season, for Season 7. You have to change direction, move along and try to progress the stories, or try to make new ones. It was bittersweet. When they told you that this shift would be happening, did they also tell you what the shift would actually be? O’DONOGHUE: I had a good idea, as to the general direction that we were going to go in, so that was good. Had you ever considered leaving the show, yourself, or were you always game and on board for what’s next? O’DONOGHUE: To be honest with you, I still had time left on my contract, anyway. I’ve loved playing Hook and I’ve loved working on this show, and it’s an amazing opportunity to get to play a character and investigate a character for so long. I’m just happy to be able to have the opportunity to continue to explore him a little more and see how that goes. He’s a great character and I’m blessed to have the opportunity to get to play him. Has this season felt like the biggest reinterpretation that you’ve had to go through with him? O’DONOGHUE: Yes and no. Over the seasons, I’ve managed to play four or five different incarnations of Hook. I’ve been lucky to be able to have to many interpretations of this character, but it’s definitely a different take, this season. Are you approaching your performance any differently, this season, because he is the most different version of the character, even in name, or does he still feel like the same person, at the core? O’DONOGHUE: At the core, he kind of feels the same. He feels similar to some parts of previous Hooks that I’ve played. But I am approaching it differently because the world and where he is, is very, very different, so you have to come at it slightly different. He’s gone by Hook, Killian and now Rogers. When you’re playing the character, what name do you think of him as? O’DONOGHUE: This season, I think of him as Rogers. In the first episode, you saw that he’s a cop and he tries to be the best person that he can be, within the confines of what his personality allows him to be. So, I think of him as Rogers, but he still has elements of Hook. Could you ever have imagined, when you started playing Hook, that you’d be here now, with him as a cop, of all professions? O’DONOGHUE: No, I would not have pictured that. To be honest with you, I’m not sure I could have pictured people relating to the character as much as they did. The fact that I’m even on the show is amazing to me. Did you ever think that he might turn out a little bit more evil and sinister, instead of being the relatively good guy that he actually seems to be? O’DONOGHUE: Definitely the first season, he was a villain. What I liked about the way that the writers have pitched him, and it’s what I think they do really well with the villains on the show, full-stop, is that they make them far more complex than a black-and-white villain. He was more tormented and conflicted. In Season 2, when I came on, I wanted people to feel sorry for him more than hate him for what he was doing. That was the impetus behind that. But, I didn’t expect him to become quite the hero that he became. How is he, as a cop? He seems to want to help and to do good, but he also seems like maybe he’s willing to make some compromises to further himself. Will some of his old ways start to filter through? O’DONOGHUE: That’s always been the fun thing about Hook. It’s difficult for him not to fall back, a little bit, into whatever pirate ways he had. As Rogers, he wants to be the best cop that he can be and the best person that he can be. He has a very definite agenda and case that he wants to try to follow. Even though he doesn’t want it to be the case, lines can get blurred sometimes when he’s investigating stuff. How would you describe life in Hyperion Heights compared to Storybrooke? What’s it like to live in a town run by Victoria Belfrey, as opposed to living in a town run by Mr. Gold? O’DONOGHUE: The main thing is that it’s a far more urban environment. It’s gritty. It’s everything that you would expect from city life. The things that a cop sees and does are definitely more relatable to being in a big city. We pick up the story this season, in a way that very closely mirrors what happened when Henry showed up on Emma’s doorstep and tried to convince her that fairy tales are real, and now we get to see Lucy try to convince Henry of that. Even though they don’t know that they have a past, Killian and Henry have a history. How would you describe the relationship that Rogers has with adult Henry? O’DONOGHUE: It’s difficult to say, at this stage. Obviously, they don’t know who they are, essentially. They definitely interact, but they don’t know that Hook is Hook, or any of that stuff. It’s more complicated than them just falling back into their previous relationships. This version of Hook that we see in the fairytale past has quite a different relationship with Henry than we’ve seen before. How has it been to establish a bond with Andrew West, as Henry? O’DONOGHUE: It’s been fantastic. In many respects, it’s a whole new character. Jared [Gilmore] did such a fantastic job as the younger Henry, and Andy is an incredibly actor. He wants to put his spin on who Henry is, and I think that he really has done an incredible job. It’s been really good fun to explore that relationship. Who are Rogers’ friends or allies, in Hyperion Heights? O’DONOGHUE: He has some, but I can’t tell you who they are until a later date. He’s very much a person on his own. Over the course of the next few episodes, you will see his acquaintances. A lot of his relationships are very, very interesting. Were you satisfied with where Hook and Emma’s relationship was left, when Jennifer Morrison returned for Episode 2? O’DONOGHUE: Yeah. I think it’s a great reminder of everything that Hook and Emma went through to get to that point. Hook and Emma very much love each other and are happy. You’ve made it to Season 7 on a TV series, which is a huge deal these days. What’s it meant to you to be a part of this family, have your own action figure, and to have had some of the incredible experiences that you’ve had, being a part of this show? O’DONOGHUE: I came on in the second season and, even though we’re in Season 7, I still feel like the new guy because I wasn’t there for the first season. I just feel very lucky and I count my blessings to be a part of something that’s meant so much to so many people. As an actor, it’s hard to get work. Sometimes you have to make do with the jobs that you get. I’ve been lucky with this one because I landed a character that I love playing on a show that I love being in and I get to be a part of an incredible journey for a lot of people. We take for granted, when we shoot the show, that people actually watch the show. We’re so busy [shooting it] that we don’t think about that. It’s only when you go to things like Comic-Con or D23 that you realize the impact that the show actually has on people. It’s really quite humbling, to be honest. Has anyone in your own life made the most fun of you, for having an action figure? O’DONOGHUE: No. Sean Maguire wants to get together, so that we can play with our action figures together. My son plays with it, too. It’s kind of weird. It’s crazy! You’ve also recently made a film, What Still Remains. How challenging was it to juggle making a film with doing a TV show? O’DONOGHUE: Since I started the show, I’ve done three movies, in between. It’s difficult to try to get to do something else, when you’re working for nine months on a TV show, but I’ve been lucky enough to be able to do it. You have to really try to manage your time, as best as you can. Obviously, you have to make family time, as well. It’s been a challenge juggling that, at times, but it’s been nice to get to play other characters. What was the appeal of that particular film for you? O’DONOGHUE: With the few movies that I’ve done in between, they were characters that I just really wanted to play. I wanted to see if I could figure out how to wrap my head around these different characters, and that’s been good. Hook is such a big part of my life that it’s nice to be able to play around with something else. For the Once Upon a Time fans who were fretting over Emma and Hook being separated by a new curse and thus losing their happy ending, suddenly everything is clear. For as revealed on Friday night in the second episode of Season 7, Seattle police detective Rogers is not a cursed version of the Captain Hook we know but instead is actually the Wish Realm’s version of the infamous pirate. Though Wish Hook was in the same, sad (rotund) shape as when we met him in Season 6, a bit of blood from his KO’d doppelganger and a wave of Lady Tremaine’s fairy wand turned him into an exact Xerox. He then aimed to derail Henry’s pursuit of Cinderella and take claim the other Hook’s life and wife. But once the news that Emma had been waiting to share with Henry got out — she is pregnant with her and Hook’s first child together — the pretender pirate had a change of poisoned heart and aborted his plan. Henry meanwhile will continue to seek out his own story, now teamed with Wish Hook and Regina, who didn’t return to Storybrooke with Emma and her husband. Following their New York Comic-Con panel, here is what Once creators Adam Horowitz and Eddy Kitsis shared with TVLine about the decision to tuck a bundle of joy into Jennifer Morrison’s final appearance as Emma. Plus, does the swashbuckler switcheroo mean that Roni and Weaver aren’t who we think they are either? TVLINE | Talk about the decision to reveal Emma as pregnant. Was it in part to get the most bang out of Jennifer Morrison’s final appearance? EDDY KITSIS | Given the ending that we came up with last year — that happy endings are everyone living their life with the people they love and doing what they love to do — this was really the next step in the relationship between them. They’re a newly married couple and it’s the cycle of life. The audience was worried we’d kill Emma or do something crazy, but the truth is they’re living their lives in Storybrooke, happy. ADAM HOROWITZ | This was an extension of the happy ending you saw between Emma and Hook last year, but another thing that’s really important to understand, and will become more apparent as the season goes along, is this is not a replacement for Henry. In Emma’s mind, Henry will be back sooner or later. KITSIS | It’s like someone who moves from New York to Milwaukee and comes home for Thanksgiving. HOROWITZ | The other thing to realize — and this is a tricky thing to get your head around, but if you think about it, it makes sense — is that in the timeline where Once Upon a Time exists this season, it’s not like Emma has been away from Henry for 10 years and Lucy has completely grown up. [In this episode] she is seeing Henry right around the time when he’s first met Cinderella. It’s not like Emma is just sitting on her Hands going, “I wonder what happened to Henry?” She’s gone off to have this life, and as Eddy said, it’s like your son moved to New York. It doesn’t mean that they don’t have their off-show interaction. Because as we’ve said, this is the last time we’re seeing Jennifer — she was gracious enough to give us this episode — and for us that was a continuation of the happiness. KITSIS | The family grows. TVLINE | People have been wondering about the math of it all…. HOROWITZ | To everybody scratching their head doing math, our hope is they go on the ride and when they get to the end of the season they’ll look back and go, “Ohhhh, this makes sense.” And Emma and Henry are still a family unit. It’s important for the audience not to feel like she’s abandoned Henry to go off and do whatever. Sure, we’re not seeing Emma on the show going forward, but luckily we do a show that deals in magic and different realms. KITSIS | They FaceTime off-screen through a magic mirror. TVLINE | How does this pregnancy reveal inform Rogers’ storyline? HOROWITZ | It actually has a massive impact on Rogers, and you saw that in the episode. 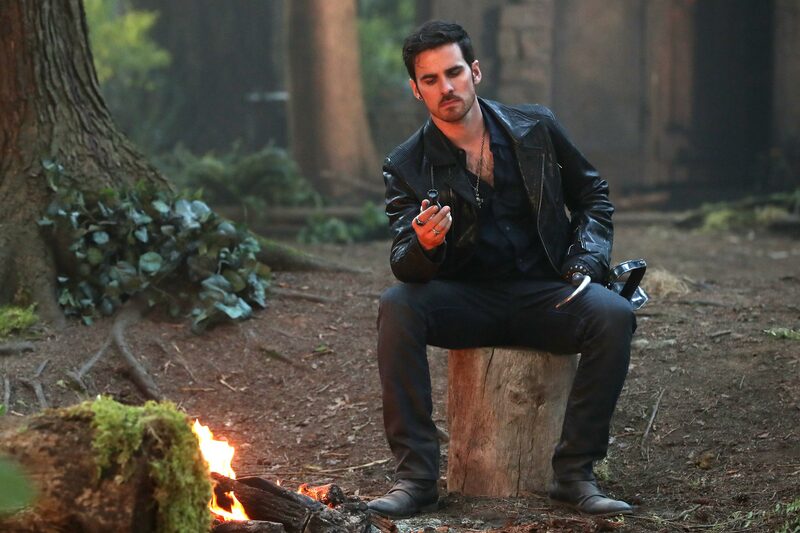 He was there to kill Hook and take over his life, because he has a poisoned heart that he thinks Emma can heal it. 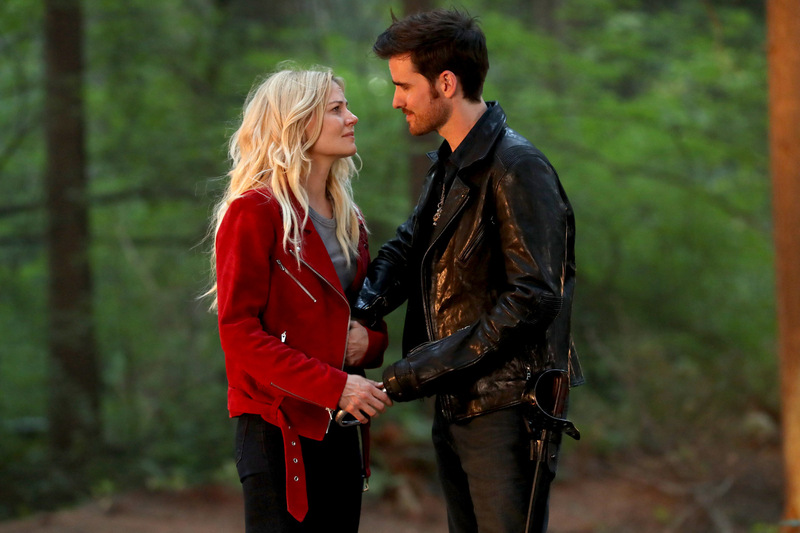 But when he discovered that Hook and Emma are having a child, it awakened the bit of good inside him. KITSIS | And the reason Wish Hook is doing all this is because he has a daughter he’s been separated from through a curse, and he’s trying to find his way back to her. HOROWITZ | Wish Hook’s path to redemption in Hyperion Heights is about finding this daughter and reuniting with her, and healing his poisoned heart. In Hyperion Heights, he doesn’t know he has a missing daughter or who he is, but this missing girl case is the analog for the missing daughter in the fairy tale realm. TVLINE | Does this Rogers/Wish Hook twist mean that Weaver and Roni aren’t actually new personas for Rumple and Regina? HOROWITZ | No, Rogers is the only one we’ve done with this. By Episode 4, Weaver being Rumple and all that becomes clear — Regina/Roni and Weaver/Rumple are who they are — and you’re going to find out the whole Belle and Rumple story, as well. So that‘s how Hook is sticking with Once Upon a Time! When Henry (Andrew J. West) called upon his family for help in Enchanted Forest flashbacks, Emma (Jennifer Morrison), Regina (Lana Parrilla), and Hook all answer the call — but so does Wish Hook! Remember that drunken, bumbling Wish Realm version of Hook we met last season? 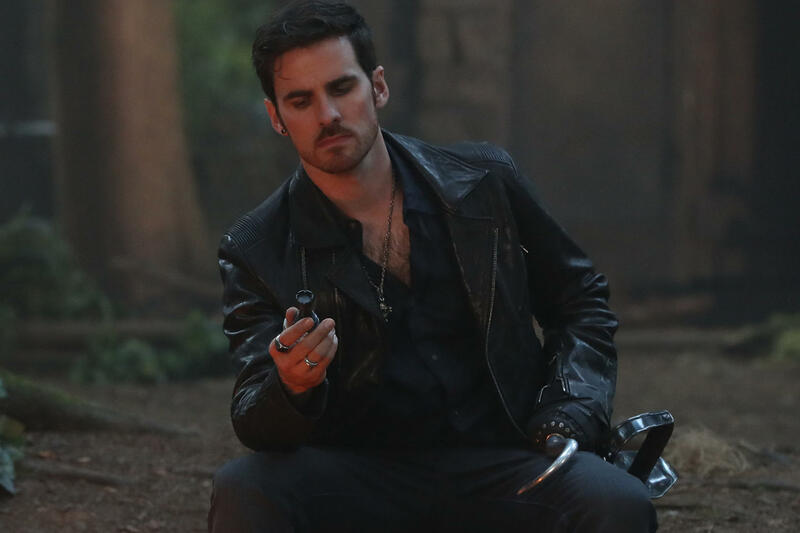 Well, he momentarily aligns with Lady Tremaine (Gabrielle Anwar) to make him look like our Hook in a bid gain Emma’s heart, which he believes will help heal his poisoned heart so he can then find his missing daughter. Yup!Ultimately, Wish Hook discovers Emma is pregnant, so he lets her and Hook-Prime return to Storybrooke to get their happy ending. It’s then Wish Hook and Regina who continue on this journey with Henry, thus answering the question of how O’Donoghue is sticking with the show, but Morrison is not. It’s been one of the big burning questions since Once Upon a Time‘s reboot was announced: How is Captain Hook returning, but Emma Swan is not? OUAT fans will have to wait until the second hour, which features Jennifer Morrison’s “emotional curtain call,” to get a better sense of why Colin O’Donoghue is continuing on with the show, but here’s what you need to know in the meantime: Like Regina (Lana Parrilla), Hook is among those who answer Henry’s (Andrew J. West) call for help in the Enchanted Forest. However, we’ll find a very different Hook in Hyperion Heights — a despondent cop named Rogers. Just how different is he? EW turned to O’Donoghue to get the scoop. ENTERTAINMENT WEEKLY: What is Hook’s mindset when we pick back up with him? How different is this guy? COLIN O’DONOGHUE: So, this is a whole different mindset than you will have seen Hook have before. There is a sense of loss there and a wonder of what that is for him without him realizing it, if that makes sense. Because of the curse, he doesn’t know a lot. He obviously doesn’t know who he is, he doesn’t know what’s gone on in his past, he doesn’t know any of that stuff, but there’s a thing there that is needling at him and that’s what’s making him who he is at the minute. This version of Hook, as the uniform cop, definitely wants to do the right thing. He wants to be the right person and do everything by the book. Through the course of things, we’ll see that it’s not as cut and dry as that in Hyperion Heights. How different does it feel on set without so many returning faces? Is it refreshing a bit to have some new blood around? Yeah, honestly, it’s not even just cast-wise, it’s like half of our crew are different now as well. It really is like we’re starting a whole new show, which is incredibly exciting. Also, because you know the pedigree of the writing and you know you already have the fans who are passionate about the show, so you have the security of knowing that’s there, starting basically what’s a new show. On set has been fantastic. I’ve gotten to work with Andy now quite a bit. To have people be so excited to be there, to be a part of what I do genuinely feel is a very special show, is really refreshing. Also Lana, Bobby, and I essentially are creating new characters and that’s always exciting and terrifying at the same time, which is great, which is what you need. That’s what actors need to be able to thrive. Bobby said this at Comic-Con, and I think it was such a great take on it, he said, “For the show to progress, it had to change in a drastic way.” For it to be able to progress into a seventh season, eighth season, ninth season, or whatever it’s going to be, you need to have those drastic moments. Also, what’s great is you see that Eddy [Kitsis] and Adam [Horowitz] and all the writers are really stoked to have incredibly talented actors coming onto the show who are really excited about where it’s going. I mean we obviously miss, as actors and as friends, the cast who aren’t coming back, who aren’t here full-time. I know quite a few will be back in, which is great too. I’ve spent nearly every day working with Jen [Morrison] for the last five years, so you obviously are going to miss that, but for me it’s equally as important as remembering to look forward to what the show is about to become. Because, genuinely, the writing this season is some of the best I’ve read. Episode 4 is stellar, it’s incredible. For me, for the fans, I just think it’s really important to reiterate and reassure the fans that Eddy and Adam are super excited even more so because there’s so much enthusiasm about creating this new world. I’m super excited to come back and play a different version. It’s the same team that just want it to be even better than it can be or has been and it’s been great to this point. Was there something the OUAT bosses said to you that was key in you wanting to return? For me, if I’m completely honest, I’ve always loved playing Captain Hook, also because I’ve gotten a chance to play so many different variations of him, so I haven’t just been playing the same guy day in, day out. I’ve gone all over, all through the gamut of emotions, and one minute I’m a villain, next minute I’m a hero, next I’m a buffoon, drunk, and I’ve been so lucky. 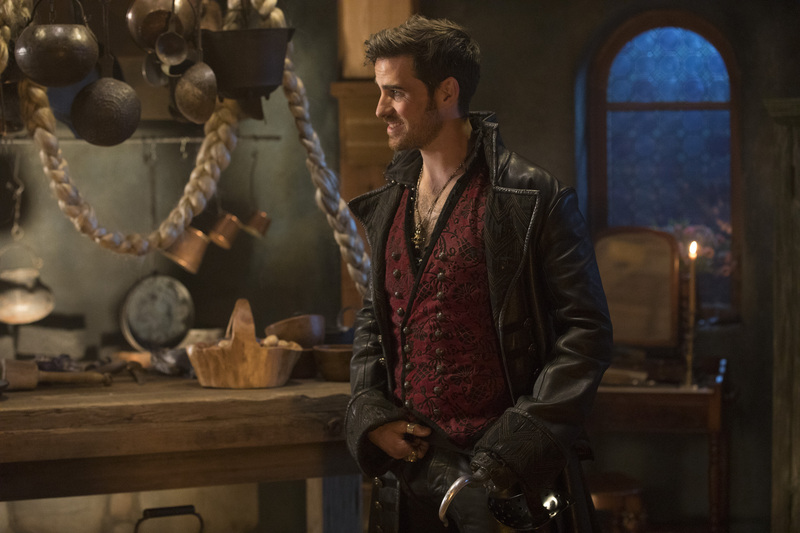 Every episode is different, and I was just excited to see — I spoke to Eddy and Adam they talked me through roughly where they wanted Hook to go, and I was super excited about it, and I was even just more excited to see where the show was going to go. I love working on the show. I love getting the scripts because we know about as much as the fans know up until we read the script. That’s the great thing is that every time we get a script, you learn something new about your character and it’s just a great show to work on. How is this curse different from what we’ve seen on the show before? Obviously it’s different because it’s hit us in a real place, it’s set in Seattle, whereas the previous curse created a whole town and place for these characters to live, which was independent of the rest of the world, where they couldn’t leave. This curse, they’re actually in the real world and there’s no magic. It’s similar in the sense that they don’t remember who they are. That’s the main difference, for me. Talk about the dynamic that Rogers has with Henry. Their characters, I would say, are very similar in Hyperion Heights. They’re obviously different, but they’re both, at the minute, at a bit of a loss. They recognize the same needling thing in each other. Hook and Rumple have had a long-standing feud. What does their dynamic look like this season? This season, you’re going to see a completely different dynamic between Hook and Gold. They have to work together at points and figure out how that will able to work, I guess is the way that I can put it. Is there anything that surprised you about the Hook-centric episode, in which Emma returns for an “emotional curtain call”? Once Upon a Time returns Friday at 8 p.m. ET on ABC. Read our primer of the new season here, our full Q&A with executive producers Adam Horowitz and Edward Kitsis here, our interview with Lana Parrilla here, our interview with Andrew J. West here, our interview with Dania Ramirez here, our interview with Gabrielle Anwar here, our interview with Adelaide Kane here, our interview with Mekia Cox here, and our interview with Rose Reynolds here.